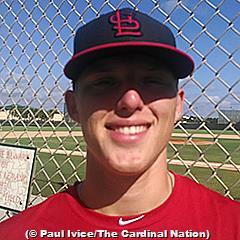 The St. Louis Cardinals system was 3-2 on Sunday, including a double-header sweep by Peoria. 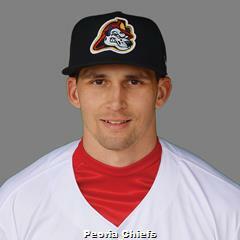 Our Player of the Day is Chiefs first baseman Juan Yepez, who plated both runs in the walk-off Game 2 win. Results from games played on Sunday, April 15. With seven runs allowed by the bullpen across the eighth and ninth innings, the Redbirds lost their second game of the season, as the Cubs won by a 9-4 score on Sunday at AutoZone Park. 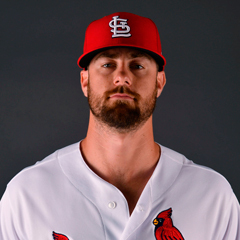 John Gant turned in a quality start for Memphis, tossing six innings with two runs on three hits – including two solo home runs. Arturo Reyes was charged with four runs over 1 2/3 relief innings, resulting in his first loss of the year. Edward Mujica recorded the final out in the eighth before Preston Guilmet was knocked around for three runs in the ninth. The Redbirds outhit the Cubs, 12-11, despite falling short in the run column. Third baseman Patrick Wisdom’s three-run homer in the fourth inning and Oscar Mercado’s lead-off homer in the ninth accounted for Memphis’ scoring. Memphis collectively went 1-for-7 with runners in scoring position left eight runners on base. Monday’s game: Dakota Hudson (2-0, 4.35) vs. Iowa Cubs, 11:05 AM Central time. With base hits galore, the Double-A Cardinals enjoyed a 14-3 victory in Sunday’s home series opener against the RoughRiders. All players in Springfield’s batting order recorded at least one hit, and eight of the nine had two or more. Left fielder Thomas Spitz and first baseman John Nogowski led the hit parade with three hits apiece. Spitz and catcher Andrew Knizner each drove in three runs, and right fielder Victor Roache scored three times. Spitz and Roache launched their first long balls of the season, and center fielder Lane Thomas hit his fourth. Connor Jones started on the mound for the Cardinals and enjoyed his second win of the year. Jones went five innings and allowed just three runs, despite walking five RoughRiders batters. Jacob Evans turned in two perfect frames in relief, and Tyler Bray logged scoreless eighth and ninth innings. Monday’s game: Jake Woodford (0-1, 8.00) vs. Frisco RoughRiders, 11:10 AM Central time. With a three spot in the top of the sixth, the Fire Frogs pulled off a 3-1 win over the Cardinals in Jupiter. Starter Ian Oxnevad logged 5 2/3 innings of two-run ball with five strikeouts. The lefty was ultimately charged with the loss, as the offense could not get much going. Third baseman Evan Mendoza batted in the lone run of the day for Palm Beach with a ground out. Mendoza, shortstop Jose Martinez, and second baseman Andy Young each had a base hit. Martinez scored the Cardinals’ only run. Next game: TBA at Bradenton Marauders at 5:30 PM Central time on Tuesday. Back-to-back home runs in the third inning helped to propel the Chiefs to a 4-3 win in the first game of Sunday’s doubleheader, played in wintry conditions at Dozer Park. With two outs in the third, third baseman Yariel Gonzalez and designated hitter Elehuris Montero hit their first home runs of the season to put the Chiefs ahead. Catcher Julio Rodriguez doubled twice and scored a run. Starter Evan Guillory recorded 4 2/3 innings with two runs allowed and seven strikeouts. Kodi Whitley recorded the final seven outs, including five punchouts. Whitley allowed one run and picked up the win, his first. 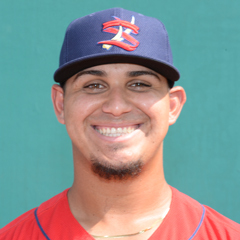 After putting the Chiefs on the board in the bottom of the first, first baseman Juan Yepez drove in the game-winning, walk-off run in the bottom of the seventh for a 2-1 Chiefs win and a sweep of the doubleheader. Yepez, our Player of the Day, went 3-for-4 in Sunday’s second game, and his two runs batted in bring his RBI count up to 11 in the young season. Second baseman Irving Lopez and third baseman Elehuris Montero each scored. 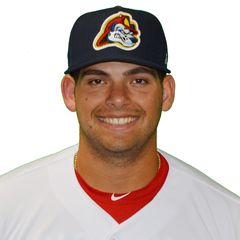 Starter Alvaro Seijas turned in five frames of one-run ball. After Seijas fanned seven across his start, reliever Bryan Dobzanski struck out two batters in as many innings to wrap up the win. Next game: Winston Nicacio (0-0, 18.00) at Quad Cities River Bandits at 6:35 PM Central time on Tuesday.